Students pose in front of new Hopwood Hall. 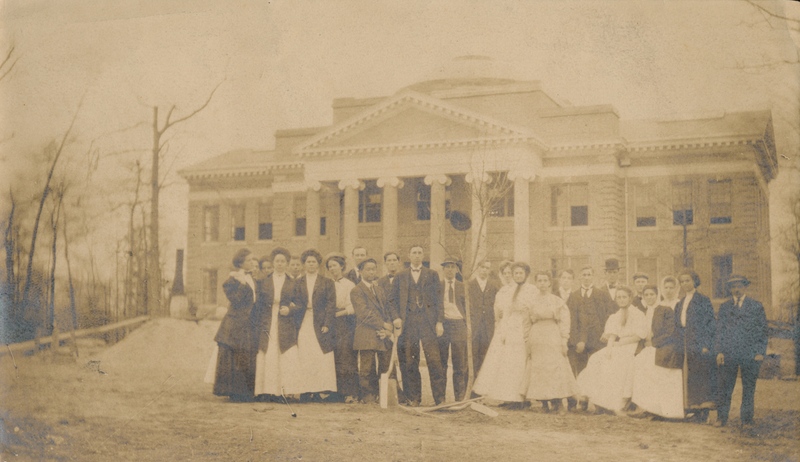 Retrieved from Lynchburg College archives. Circa 1909.